Running a creative company isn’t something they teach you in art school or business school. It’s a tricky business in a terrain that constantly changes and is already saturated. Good thing there are those who already tested the waters for you. 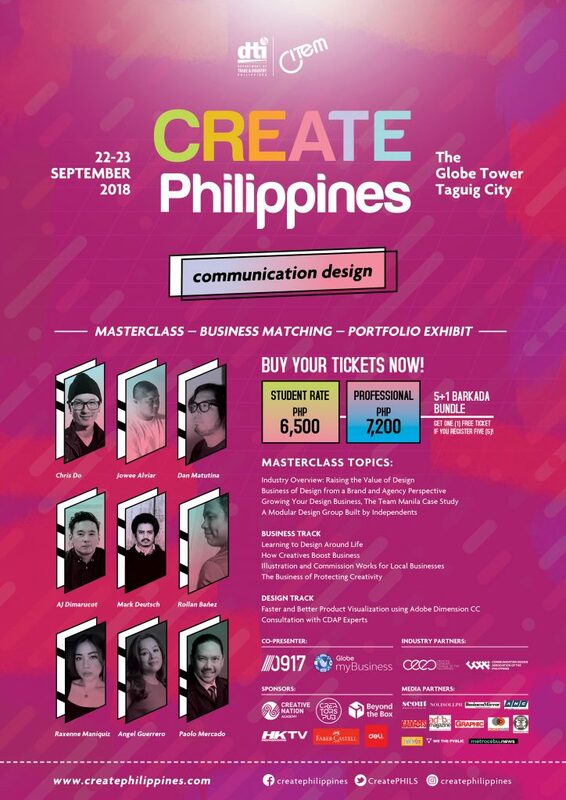 And now they’re bringing their learnings and training at the second edition of CREATE Philippines on Sep. 22 to 23 at the Globe Tower, Bonifacio Global City. It’s an event featuring masterclasses, portfolio exhibits, and networking organized by the export promotion arm of the Department of Trade and Industry, Center for International Trade Expositions and Missions (CITEM). 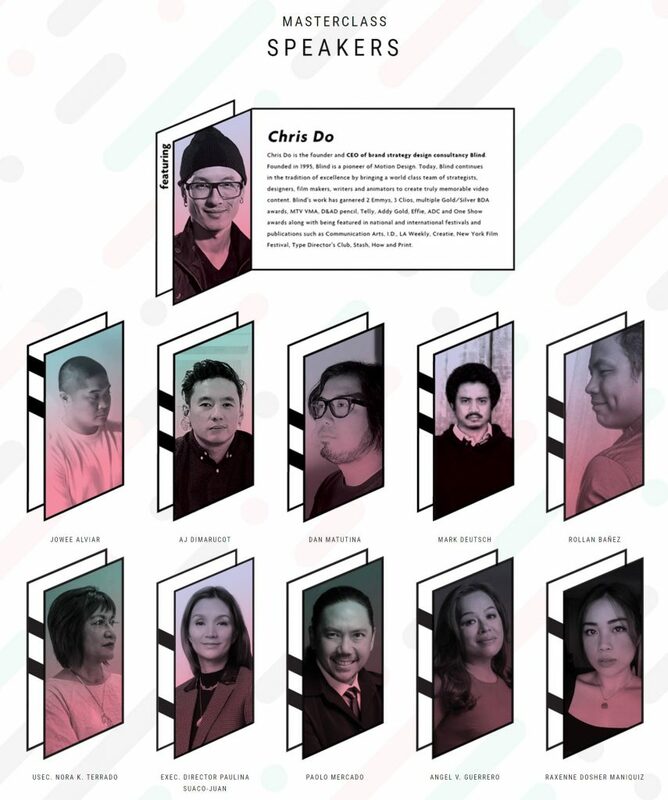 “We have invited top creative industry leaders across the country to share innovative ideas and market insights on their fields of expertise—be it on new creative trends, aesthetics, and best practices highlighted with success stories of their own projects,” CITEM Executive Director Paulina Suaco-Juan says on a press release. In this year’s run, CREATE will zero in on Communication Design, a multidisciplinary practice that packages ideas and information in various shapes, delivered through various platforms like print and publications, commercials and logos, app design, and websites. Owner of Love & Madness Clothing Corp.
Graphic designer and illustrator for Plus 63 Design Co.
Avail the student rate for P6,500, professional P7,200. There’s also a 5+1 Barkada Bundle: Get one free ticket if you register five. For more information, check out CREATE’s website. CREATE is in partnership with the Communication Design Association of the Philippines.